You are never too old to start a business. 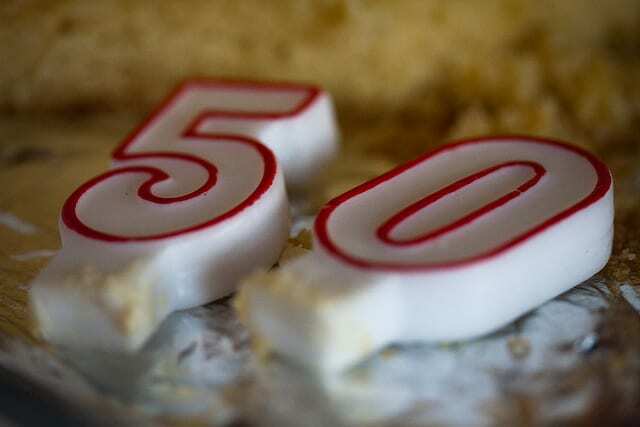 I was 50 before I took the entrepreneurial plunge. I’d dabbled off and on when my kids were little, but it was more to earn some extra money, rather than a true business venture. In fact, I even have a friend who launched her salon and spa at 63, and she, and the business, are still going strong and she’s now 70. Experience. You likely bring years of experience to the business, and can market your expertise and knowledge to others. Money. You may have more disposable income to invest in the start-up. Network. If you are remaining in the same sector, you have a wide network of contacts from which to build your business. Professional reputation. Likely over the years, you’ve built a professional reputation for yourself and people know and trust your work. Fewer demands. Your children are grown and gone (well, maybe) but you don’t require or have the expense of child care as you work on your business. I started a consulting practice and actually got my first contract from my former employer. Having been in the field for years, it didn’t take me long to build a roster of clients. Then after two years, changed directions and launched Company of Women, an organization that supports women entrepreneurs. It can be isolating. There’s no “water cooler” conversations about the weekend for example, and no one to discuss or brainstorm with regarding the projects you have on hand. You’re it. If you’ve worked your way up the ranks, likely there’s staff who managed your in-and-out box, did photocopying, etc… When you are the business owner, the buck stops with you. Technologically challenged. If you got new software, in the past someone else probably installed it and give you some quick lessons on how to use it. When you are a solopreneur, you are on your own, unless you are fortunate enough to have a nearby teenager you can call on to help. Social media. When you come from a generation where your friends are people you’ve met face-to-face, and you have no idea what poking, tagging or “friending” is on Facebook, it can be a steep learning curve. As you work to spread word about your business, you may have to come to grips with social media and determine if you want to post, to tweet, get linked in, etc… It is a whole new world out there ! Availability. Friends who are retired or used to you being around, find it hard to understand that you can’t just drop what you are doing to have coffee with them. No matter what your age, when you start out you have such lofty goals, only to discover that often everything takes so much longer, and it costs more too. Partners may put pressure on you and it can be hard not to get discouraged. Link up with other newbies, and you’ll find you are not alone. But one thing I know for sure, I could never go back to working for someone else. In fact, I would say I am unemployable now. I have got too used to my freedom and calling the shots. I am often asked when I am going to retire, and a few years ago when I turned 60 I did consider it, but more because that was other people’s expectation. I have since realized 60 is just a number, and I am not ready to hang up my hat yet – I have too much I want to accomplish and it’s still fun. So if you are thinking of starting a business later in life – go for it. I’ve found it to be the most fulfilling work I have ever done. Yes, there are some frustrations and challenges, but at the end of the day – I have shaped and been responsible for my success, and it doesn’t get any better than that. It is hard to shake off going from an employee to being an entrepreneur. Such a different mindset. It is hard and challenging but it too is still fun for me. Thank you for your continued inspiration!